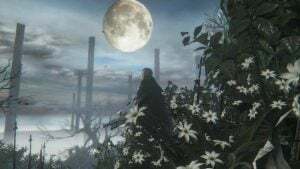 FromSoftware New PSVR Déraciné Connected to Bloodborne? 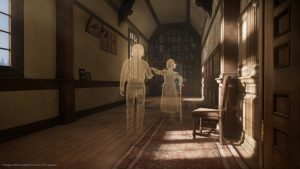 Sony’s E3 2018 Playstation conference had a final surprise in store for the post-show, with the unexpected announcement of a collaboration between Sony Japan Studio and FromSoftware, an upcoming VR title called Déraciné. 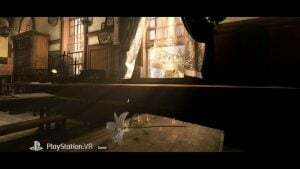 A teaser trailer confirmed that FromSoftware had indeed been working on a VR title, and that is a Playstation 4 exclusive for the Playstation by the name of Déraciné. The video features some artistic shots of the setting of the game, but not much in the way of gameplay or further information. 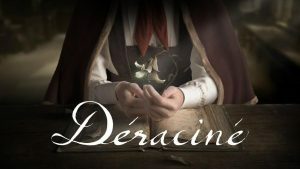 Déraciné is an all new adventure game that brings Japan Studio, FromSoftware and director Hidetaka Miyazaki together for the first time since Bloodborne. The story unfolds in a secluded boarding school where six children quietly spend their days. It is into this environment that you appear, an unseen faerie existing in a world of frozen time. As the story progresses, time shifts around you, at times even throwing you into the past. Our goal as we develop this title is to use the latest in VR technology to create a traditional adventure game or visual novel where the user explores a quiet world teeming with mysteries. Déraciné’s most important element is the bond between the player, an unseen faerie, and the children of the boarding school. This is shown using fragmented storytelling, where the user pieces events together from scattered story elements, and a setting where time is frozen. All of this comes together in a compelling, emotional narrative. “This title got its start when I asked myself whether I could recreate the classic adventure game with its relaxed pace in virtual reality, giving users an entirely unique experience. SIE was interested, and I am very grateful to have them as a partner as we develop this game together. We knew that FromSoftware was working on a VR title, and there were rumors about a 3-game deal with Sony. But what’s probably most interesting about the trailer is the subtle connections it may have to Bloodborne. We could wildly speculate that there is a connection between these two FromSoftware games as their settings both have a mysteriously similar aesthetic. The setting of the boarding school, looks as if it could be somewhat related to the location shown in Hunter’s Dream in Bloodborne. Look familiar? Could this be the boarding school shown in the trailer? 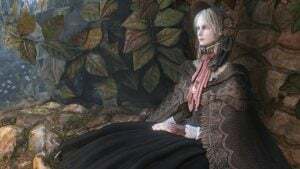 We also get a look at the uniform that the student wears in the Déraciné trailer, the cape, white shirt and red neck-tie could be compared to that of the character “The Doll” from Bloodborne. Not only are the visual similar by comparison but both titles Bloodborne and Déraciné share the same Sony Japan Studios and FromSoftware collaboration, and seems to be spearheaded by Bloodborne producer Masaaki Yamagiwa. While we could argue that these are just coincidences in terms of graphic style as the same teams are working on both titles, there are some hints and clues that could lead to the conclusion that Déraciné is something like the life-before-life or a separate dream of Gehrman and The Doll (or Lady Maria). 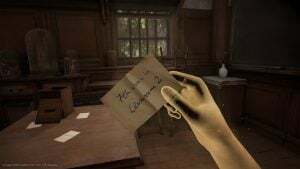 What type of game that Déraciné sets out to be is unknown, but the description hints at a story-lead VR game where decisions will impact the progression to unlock further mysteries. Déraciné is set to release this year 2018, but the exact release window has been yet to be announced. Want more FromSoftware content? Make sure to Check out Sekiro: Shadows Die Twice, or move on to other E3 2018 announcements including Fallout 76 and Elder Scrolls IV! The two games share a sort-of-similar setting, probably the Victorian era, but any BB connection I imagine will be superficial at best. Even if it was BB-related, it’s a far ways away from being another BB game, so anyone looking for trick weapon combat or eldritch terrors should expect to be disappointed. Looks like a game with a mildly whimsical, soft, perhaps sentimental tone to it. Gives off very much a "walking simulator" vibe, though of course I don’t know how heavily puzzles will be involved into the gameplay or how complex they’ll be. That room with that odd clock contraption reminds of something out of Myst. Dunno if I’d buy a PSVR headset just for this but it’s a pleasant-looking game. I’m just glad with games like this, the Metal Wolf Chaos reissue, and I don’t know how Sekiro will play but I see some distinguishing elements, are being shown to remind everyone that "yes people we in fact are more than just ‘those devs who make Souls games.’"
Speaking of reissues, I’d love to see a US release of Shadow Tower: Abyss, a Japan-only PS2 game that played more like a survival horror apparently than the King’s Field-type first-person dungeon crawl of the first game, and an Otogi collection. I never got to play more than just one level of the first game but what a hell of a level that was. I’d agree with that. I expect Easter eggs (moonlight blade has to make an appearance right?). But the careful wording to describe it seems to make any real connection very unlikely. The idea of "warm" and "relaxed pace" are about as far away from Bloodborne as possible. There could certainly be tie ins for all I know. 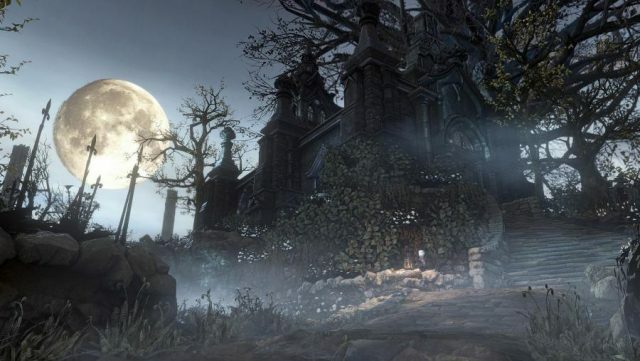 Bloodborne leaves the door wiiiiiiiiide open for all paranormal events and concepts. With the likely audience being so drastically different though, I don’t see it as wise necessarily. That must be the "weird" title From mentioned ages ago. It’s definitely not their usual fare, but looks interesting at least. Oh come on what’s wrong with some speculative fun? Are those ghosts in that one still shot? Because it reminded me of Rain, the Sony Japan PS3 game that I liked, years ago. But, PSVR is a non-starter for me because motion sickness.